New Delhi, March 21: As the Model Code of Conduct (MCC) came in to force ahead of 2019 Lok Sabha elections, the Indian Railways has decided to withdraw tickets carrying photos of Prime Minister Narendra Modi ahead of national polls. The railway officials said that withdrawal of these comes as the MCC came into action after the Election Commission of India announced the poll dates on March 10. The statement comes after the Trinamool Congres deligation approached to EC accusing Bharatiya Janata Party (BJP) of violating the poll code of conduct. 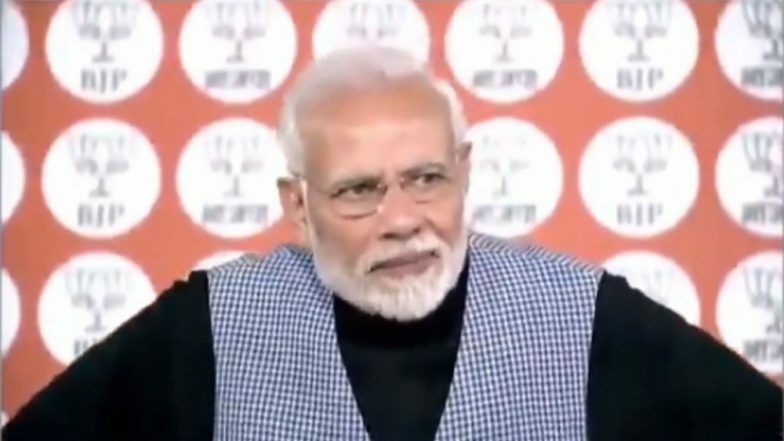 The delegation comprising of Sukhendu Sekhar Ray, Derek O'Brien and Chandan Mitra claimed that PM Narendra Modi's photographs published on railway tickets was in the violation of MCC. What is MCC? Why It's Needed & How is it Enforced? All You Need to Know. According to the rule, as the MCC or Aachar Sanhita comes into forces, the elected governments are barred from inaugurating any projects or unveiling a new scheme. MCC also bares political parties to promote themselves through banners and hoarding to carry out free and fair elections. Meanwhile, the Lok Sabha elections will take place in seven phases from April 11, 2019, to May 19. The counting of votes will begin on May 23.